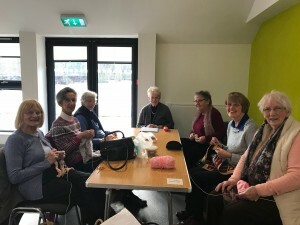 Previously known as the Banner group, they decided this year to widen their areas to all things stitchery and they welcome any one who would like to drop in and join them by bringing their own sewing activity and sharing fellowship and good conversation.. Currently they are knitting small blankets for the baby cribs at Alder Hey hospital. Anyone who wishes to join the group for company are most welcome. Knitting is not compulsory and in fact knitting lessons may be on offer! From their weekly donations of £1 each, they have been able to donate towards various projects both within and outside the church. However over many years the sewing group have been responsible for the making and care of the tapestry kneelers and cushions in church. The tapestries were made in the 1980’s and 1990’s to cover the original kneelers. Many hours were spent making these and there were many kneelers on each pew row. After a while it was felt that cushions would help make the pews more comfortable so over a number of years many of the tapestry kneelers were made into cushions by the sewing group. 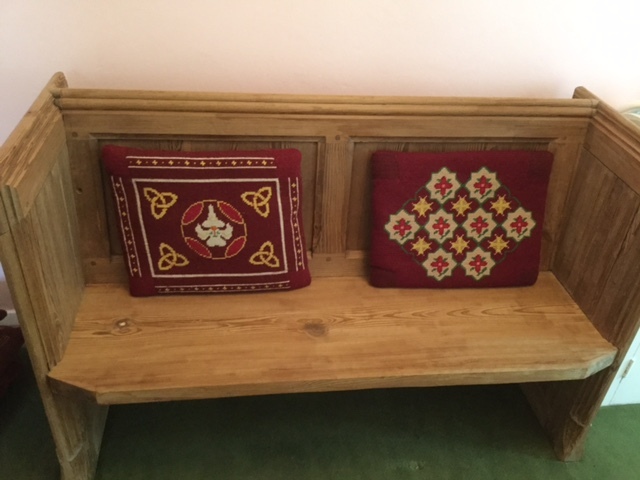 In 2016 when the pews were removed there were many kneelers and cushions which were not now going to be used. It was felt to be important though to recognise the history and craftmanship that had been involved so a plan was made to enable us to take our heritage forward. We identified a number of cushions that had been made in memory of members of the congregation and these are currently being made into a “memory curtain” which will be put on the dais. This will enable the history to be seen and appreciated by all. It will also be a testament to the skills of the sewing group to put this together. There were also many kneelers that had been scattered around church in various pews which are now on our window sills. These are all part of a theme and are now visible to all and much appreciated. There were a few others of special significance which we have kept for the future. The rest of the kneelers have been made into cushions and sold by the sewing group to raise money which has gone towards the Vision Project. Many people who have purchased a pew have also bought a cushion or two. Others have been bought by people with connections to this church or those who wanted a piece of heritage in their homes. This has been a labour of love for those involved but has resulted in a greater appreciation for all of us of the skills that made these cushions and we are thankful for that. 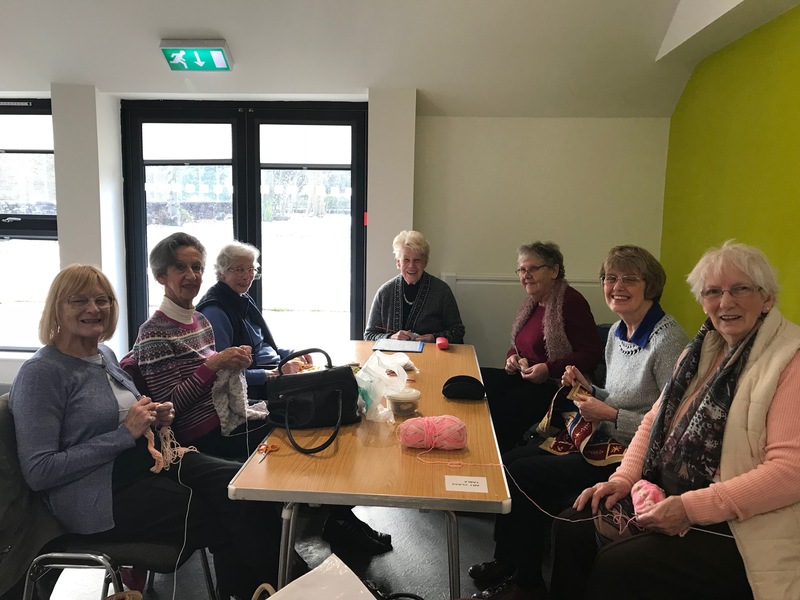 They meet in term time in the church room on a Tuesday from 1.45 – 3.30pm to sew, knit or crocket over a chat and refreshments. They would love to see you.